Japan: Ein Update zur Investment Opportunität! Japan ist wieder an einem Punkt angekommen, an dem es sich mittelfristig rechnen dürfte im dortigen Aktienmarkt zu investieren! Seit Jahresanfang ist der Index Nikkei 225 deutlich zurückgekommen. Die fundamentalen Daten sind aber besser als in der Vergangenheit und die Bewertung niedriger als bei weniger aussichtsreichen Aktienmärkten. The first quarter of the year has seen wholly unwelcome relative and absolute underperformance from Japanese equities (Chart 1). 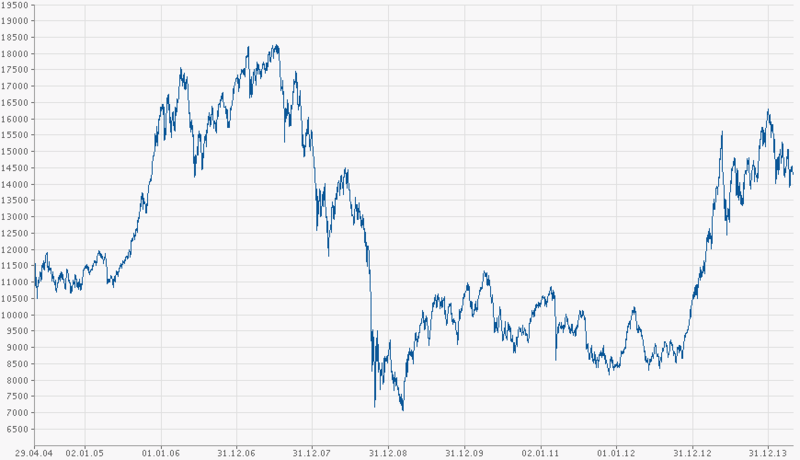 Our portfolio, in particular, has given up a sizeable fraction of last year’s gains. Japanese shares have now relinquished all of their relative gains versus global markets since the autumn of 2012. Within this, the greatest weakness has been in large cap shares, again to the detriment of our portfolio, whilst our strategic policy to hedge the yen has also proven to be an added headwind. The lack of easing by the Bank of Japan in anticipation of the increase in the consumption tax has certainly been a negative, but we find it hard to argue that much else has disappointed. In a fundamental sense, we suggest that the arguments which we put forward in our investor note of Spring 2013 remain valid. Japanese profitability has recovered very sharply and continues to rise, and earnings expectations continue to improve. 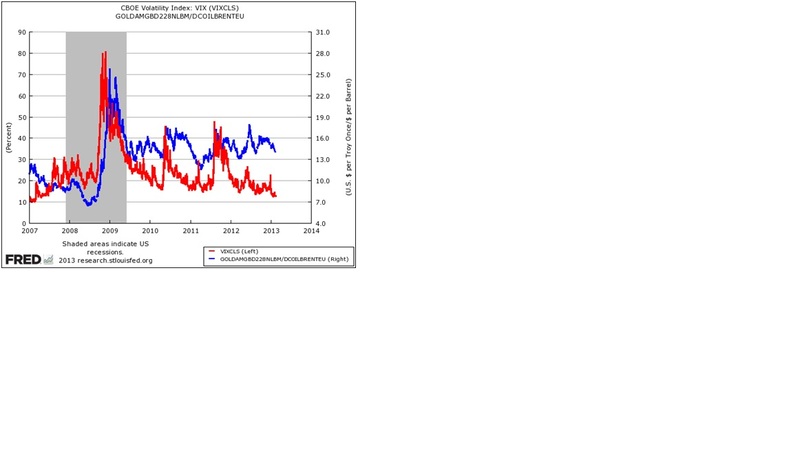 A glance at Chart 2 indicates that Japanese shares are far from expensive. P/E multiples in Japan are now substantially lower than in either the US or in Germany, which is unusual. Charts 3 and 4 show that Japanese valuations have fallen markedly in the face of strong profits growth and accommodative monetary conditions, which is also unusual. Part of the problem in Japanese equities arises from the evident lack of institutional depth in the market, a risk that was explicitly recognised in our letter last year. Specifically, we noted that in the light of ongoing very low interest rates, Japanese financial institutions were liability constrained from increasing their equity weightings. This implied that the marginal buyer and seller of Japanese shares was likely to be an overseas investor. 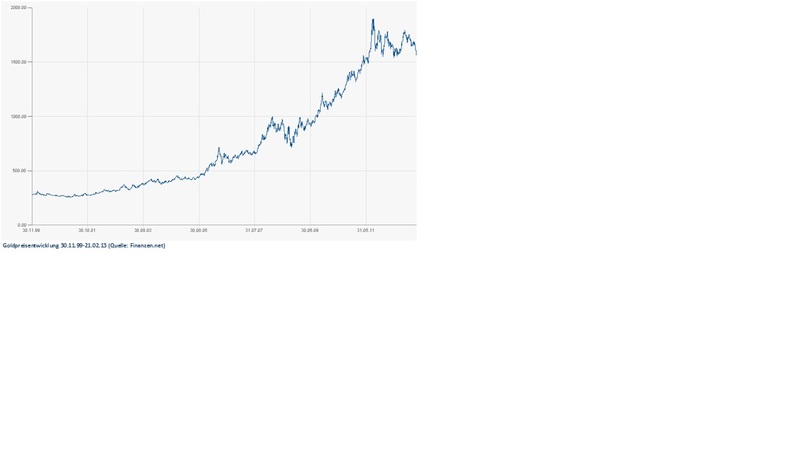 Chart 5 shows the extent to which this has been true on the buy side. Unfortunately, we did not suspect that selling pressure would arise even as the S&P 500 trades within a shade of its record high. A further part of the surprising weakness in Japanese shares has come from the unwinding of net long futures positions in both the Topix and Nikkei indices. A portion of these will have been speculative, unhedged positions. These are or were predominantly held by overseas speculators. However, Chart 6 shows the extent to which futures unwinds created net selling in the market, a risk that is now very substantially mitigated. In fact, looking at trading in individual shares, Chart 7 appears to indicate that short-sell ratios in the Japanese equity market are close to historical highs. Of course, these positions are highly vulnerable in the event of a rally in Japanese stocks. It certainly appears that the dominant portion of the selling in Japan has been from overseas investors who were disappointed by the relative performance of Japan and did not need to be invested there. Perhaps we could and should have foreseen this or reacted to it more forcibly? It is true that neither the US dollar nor US bond yields have risen in this year, contrary to widely held (including our) expectations. However, our focus has been on the improvement in Japanese corporate profitability and governance. It is obvious that Japan’s political and monetary authorities are deeply committed to reflation. The Bank of Japan is doubling the size of its monetary base. The government has explicitly reaffirmed a 2% CPI target and implicitly targets negative real interest rates. The consequences of these policies are more or less predictable! Commercial banks have begun to expand their balance sheets. For the first time in twenty five years, Japan has the semblance of an upswing in the credit cycle. Wages are beginning to pick up and this is especially vivid when measured to include corporate bonuses. Condominium, house and land prices are recovering. Commercial rents appear, to us, to have made a decisive cyclical low. Anecdotal evidence of recovering jewellery and fashion sales and moderate labour shortages add to the picture of an economy escaping two decades of deflation. 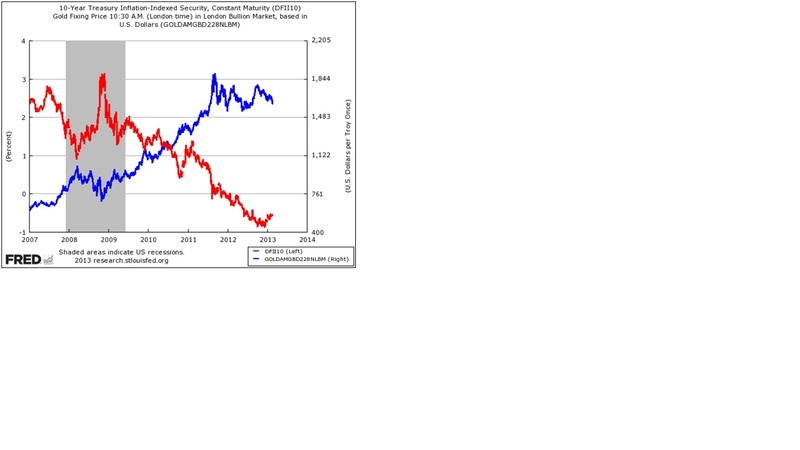 This is perhaps best captured by the steady rise in Japanese index-linked breakeven rates in Chart 8. Investors worry that the increase in consumption taxes will, in some way, undermine the clear trend towards reflation. They argue by analogy with 1997, when higher taxes did indeed depress consumer demand and added to deflationary pressures. Yet the differences with the earlier period are stark. There was no monetary reflation in 1997 and other demand measures were exceptionally weak, especially property and land prices. Further, overseas demand was depressed in the aftermath of the Asian crisis. Meanwhile, the evidence for improved corporate governance is gathering strength, almost on a weekly basis. In fiscal 2013, Japanese corporations will make record dividend payments, just one year into the economic recovery. Leading companies, such as Toyota, have raised payout ratios. Where Japan lags, especially in comparison with the US, is in the quantum of share buybacks. These remain below the levels recorded in 2006-08, for reasons that are unclear as Japanese companies are awash with cash (Topix companies have more than ¥70 trillion of net cash on their balance sheets). However, we find the forecasts by many sell side analysts (e.g. Goldman Sachs, Chart 9) indicating a major recovery in share buybacks entirely credible. Leading Japanese companies have announced substantial share buybacks in a manner totally at variance with past behaviour. Toyota is an excellent example, announcing a 2% share repurchase during March, following years of resistance. Mitsui and Co, a quintessentially ‘establishment’ Japanese trading company, announced a 2% buyback at the end of February. The reason Mitsui gave for the repurchase – the first ever by any Japanese trading company – was to improve its return on equity (RoE). And Mitsui borrowed money to facilitate the transaction! It is probable that these share purchases will act as a standard for other companies to emulate. Even the more state-owned companies, such as NTT, are following suit. NTT’s total payout ratio including buybacks exceeded 100% in FY 2013 and has the potential to do so again next year. It is, in our view, hard to overestimate the importance of the introduction of the Nikkei 400 index in January this year. In a crucial departure, this index includes RoE and corporate governance indicators alongside market capitalisation as criteria for inclusion. Softbank is the largest stock in the index but several well-known large Japanese stocks (e.g. Panasonic, Daiwa Securities) are excluded on the grounds of poor or negligible profitability. One of the criteria for ‘good’ governance, which was codified in April last year, is the inclusion of independent directors. Chart 10 shows that this can lead to a meaningful improvement in RoE. The most important future development in corporate governance will be the reform of Article 16 of the labour law which will clarify how and when labour redundancy is, ex-ante, permissible. This may have a dramatic impact on Japanese corporate behaviour, we understand. In addition, it is probable that Japan’s corporate cash pile exists partly in anticipation of large labour downsizing. It appears to us that relatively few investors appreciate that Japanese corporate profitability is already at the highest levels since the late 1960s. Moreover, the 9.5% – 10% RoE likely to be seen in March 2014 results occurs with only one of the key drivers of profitability moving decisively in its favour. This is illustrated in Chart 11, which shows the marked increase in corporate profit margins. However, it is probable that leverage, asset turns and corporate tax burdens all improve over the next two years and we remain of the view that Japanese RoEs are headed towards 15%. In fact, this seemingly aggressive forecast will prove conservative if, as is likely, corporate tax rates are reduced to international levels. Some investors argue that translation gains from yen weakness are the major (or only) reason for higher Japanese profits. In addition, they call into question the notion of paying higher multiples for ‘mere’ translation gains. Goldman Sachs, admittedly a bull, argues that the level of sales and margin are a far more important source of profit growth. This is illustrated in Goldman’s forecasts for profits growth this year, in Chart 12. In other words, transaction gains can be much more important than translation gains: We see this borne out at a practical level in many of our stock selections including Rohm, NGK Spark Plug and Bridgestone. Investors in Japan will have heard scepticism about supply side reform, that the ‘third arrow’ is ephemeral. We believe that this reflects greater frustration with the market’s performance than the likely reality. From our perspective, Abenomics has created some solid supply side reforms, with more in the offing. Japan has broadened the tax base, formulated rural and agricultural reform, supported the introduction of the Nikkei 400, proposed Government Pension Investment Fund (GPIF) reform and is introducing new economic zones (NEZs). The NEZs are particularly important as they cover approximately 38% of Japanese GNP and will be the experimental grounds for reforms in labour markets and in immigration. 2014 has seen a succession of investment themes reverse their relative performance of last year. Japan is the most conspicuous of these and in our opinion the least deserving. Improved profitability is a fact, not a speculation, and investors are paying little if anything for the optionality of supply side reform, sustained better corporate governance and tax reform. These three features would lift Japan’s RoEs to 15% and more, in all but the most recessionary of overseas conditions. Aside from temporary strength in the yen, the risks to investing in Japan focus mainly on the lack of domestic institutional support for equities. In the light of the enormous valuation differential in favour of domestic equities over JGBs and GPIF reform, this anomalous situation will not be sustained for Long. warum ich so positiv für den japanischen Aktienmarkt bin, möchte ich anhand der zwei nachfolgenden Beiträge aufzeigen. Ich hoffe, ich kann Sie auch faszinieren. …Despite the strong performance of the Japanese market over the past four months, the evidence is that the market continues to under-estimate the Japanese authorities’ agenda of monetary policy easing in order to „take on deflation with policies of a different dimension from those…implemented in the past“ (to quote Prime Minister Abe-san during November’s election campaign). Since our last monthly report there have been two significant developments. Firstly, in March the nominee Haruhiko Kuroda has been appointed as Bank of Japan Governor by the Upper and Lower Houses of Parliament. Secondly, post month end, his first monetary policy committee meeting led to the BoJ announcement of a regime change to „enter a new phase of monetary easing in terms of both quantity and quality“ (to quote the BoJ itself), with the aim of generating 2% positive CPI inflation within the next two years. Our observations on this change are as follows. Firstly, the BOJ has doubled the monthly purchasing of JGBs to Y7tr, which is likely to represent monetisation of 70% and 120% of the gross and net JGB government issuances. Such a change in policy tools is profound. Secondly, targeting an increased duration of JGB holdings, to 6-8 years, brings the BoJ duration in line with that of the Fed’s. Thirdly, the pace of quantitative easing is noteworthy, given how the BoJ’s monetary easing has lagged that of other central banks. The BoJ balance sheet is expected to expand by 1% of GDP per month versus the Fed’s current pace of 0.5% of GDP. As a result the BoJ balance sheet should rise from 34% of GDP currently, to 45% by December 2013 and over 60% by December 2014. The Fed’s balance sheet is anticipated to be 25% of GDP by December 2013. It is plausible that the re-rating effect in the US equity market, aided by monetary easing, replicates itself in Japan. The current market trailing price/cashflow valuations are: S&P500 9.3x, Stoxx Euro 600 8.6x, Topix 6.4x. Fourthly, while the purchasing of JREITs will triple from Y10bn to Y30bn annually, there remains ample scope for buying more of these real assets, as the targeted BoJ holdings for year end 2013 is worth only 2% of the current market cap of the overall JREIT sector. Fund managers hail the Bank of Japan’s surprise monetary easing package. Managers have hailed the end of Japan’s ‘lost decade’ after the Bank of Japan (BoJ) last week unveiled a vast package of monetary easing measures. The Bank’s governor Haruhiko Kuroda, who was put in place by Japan’s new prime minister Shinzo Abe last month, unveiled an unprecedented package that is expect to double the amount of money in circulation in Japan within two years. This is aimed at finally lifting the economy out of its era of stubborn deflation, which has spanned almost two decades, and help it to achieve Mr Abe’s 2 per cent inflation target and generate growth in the economy. “This is a significant moment for Japan and I think this is the end of the lost decade. It is a break with the past and the landscape is changing,” said Simon Callow, manager of the CF Miton Diversified Growth fund. The multi-manager said he was set to boost his Japan weighting further on the back of the announcement, tipping Stephen Harker’s £1bn GLG Japan Core Alpha fund as the best bet. The BoJ is set to buy up ¥50trn (£346bn) in Japanese government bonds per year, while also expanding its monetary base by ¥60-70trn per year and increasing its purchases of exchange-traded funds and real estate investment trusts. Simon Edelsten, manager of the Artemis Global Select fund, agreed the ‘lost decade’ could be over, though he said the country “cannot get rid of its debt and its demographic issues overnight”. “You do not get these moments in markets very often, and when you get them they are really worth paying attention to,” he said. Gary Potter, co-manager of the F&C multi-manager funds, said he was usually bearish on Japan but this was the “best chance Japan has had for 20 years to boost the economy and markets”. “People have been trashing Japan for so long but it looks like there is a real possibility of a transformational change in the market and in the perception of the market from global investors,” he said. The BoJ’s announcement, which came 90 minutes before the Japanese stockmarket closed on April 4, pushed the Nikkei 225 index from a loss of 2 per cent on the day to a gain of 2 per cent. The index subsequently rose above 13,000 – a five-year high – as the yen fell by more than three per cent against the dollar. The country’s 10-year government bond yield contracted from 0.55 per cent to 0.45 per cent, as the central bank’s commitment to buying up long duration bonds pushed down yields across the curve. seit meiner Empfehlung in Japan zu investieren (siehe mein Blog vom 05.02.2013 beim Topix-Stand von 940 Indexpunkten) ist der japanische Topix-Index um 22% gestiegen auf heute 1.147 Punkte . Zuletzt hat sich der Kursanstieg explosionsartig entwickelt. Ich sehe ein erhöhtes Risiko für kurzfristige Rücksetzer am japanischen Aktienmarkt. Wie der Topix hat auch der Nikkei 225 Kursindex zuletzt einen rasanten Anstieg verzeichnet. 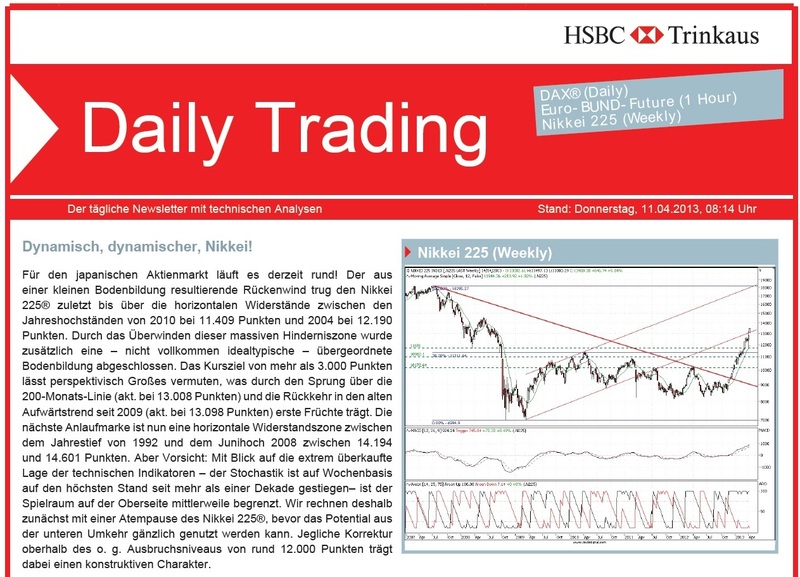 Einen möglichen Kursrückgang hat auch HSBC Trinkaus in einer Chartanalyse für den Nikkei 225 heute herausgestellt. Einen solchen Rückgang sollten Sie als Investor unbedingt für eine Erhöhung Ihrer Positionen in Japan oder als Einstiegszeitpunkt nutzen. Japan bleibt eine längerfristig sehr attraktive Investmentchance! Lesen Sie hierzu auch meine Blogs vom 05.04.2013 und vom 05.02.2013. Wikipedia Definition: Der Nikkei 225 (jap. 日経225; 日経平均株価, nikkei heikin kabuka, dt. „Nikkei-Aktienpreis-Durchschnitt“) ist einer von mehreren Aktienindizes der Zeitung Nihon Keizai Shimbun zur Messung der Entwicklung der Tokioter Börse. Er basiert auf 225 ausgesuchten Aktienwerten. The Bank of Japan’s new governor, Haruhiko Kuroda, didn’t disappoint investors with his announcement yesterday: He laid out plans for the biggest, fastest unconventional monetary stimulus any large economy has ever seen. By definition, financial markets never expect “shock and awe,” but they expect it least of all from the hyper- cautious BOJ. For once, for the first time anybody can recall, “shock and awe” is what they got. der Goldpreis ist wieder deutlich angezogen – wie nach der heftigen Abwärtsbewegung zu erwarten war! Anbei der Grund. Meiner Meinung nach werden wir mehrere Tage von Auf- und Abwärtsbewegungen sehen bevor wir wieder einen nachhaltig anziehenden Goldpreis sehen werden. Die Eurokrise ist noch nicht vorbei und die Pattsituation nach dem Wahlausgang in Italien lässt auch keine schnelle positive Lösung der dortigen Probleme erwarten. Die Risikoaversion der Investoren dürfte wieder anziehen. Und die Notenbanken dürften die Zinsen weiterhin niedrig lassen. All das ist gut für den Goldpreis. Um mehr als 30 USD schoss der Goldpreis gestern zwischenzeitlich nach oben – bis auf ein Hoch von rund 1.620 USD pro Unze. Auslöser waren Aussagen des US-Notenbankchefs Ben Bernanke vor dem US-Senat, in denen er sich positiv zum Stimulusprogramm der Fed (QE3) äußerte. Topix +1,8 %, Nikkei 225 +2,4 % – Japan bleibt eine mittel- bis langfristig attraktive Investmentchance! Siehe dazu meinen Blog zu Japan vom 05.02.2013! Der Goldpreis ist im Februar deutlich gefallen. Die Charttechniker sprechen bei dieser Formation von einem „Todeskreuz“ (engl. Death Cross, Definition siehe weiter unten). Die Aussage ist: Der Preisverfall geht aller Voraussicht nach weiter. Aus charttechnischer Sicht steht nun eine wichtige Bewährungsprobe an, schließlich dürfte ein nachhaltiger Rutsch unter die bei 1.550 Dollar verlaufende Unterstützungszone neue chartinduzierte Verkäufe generieren. Timingindikatoren wie der Relative-Stärke-Index zeigen allerdings mit aktuell 22 % eine eindeutig überverkaufte Lage an. Die Chance auf eine technische Gegenbewegung ist somit relativ groß, zumal die fundamentalen Probleme der Finanzwelt immer noch nicht gelöst sind und daher Gold als sicherer Hafen attraktiv erscheinen lassen. Aber es scheint auch fundamentale Gründe zu geben, warum der Goldpreis rückläufig ist. Im Grunde kommt es auf zwei Dinge an, die in Form von Charts gut dargestellt werden können. Erstens die Realzinsen. Wenn die Realzinsen extrem niedrig sind oder fallen, dann ist das gut für den Goldpreis. Und es gibt einen intuitiven Grund dafür: Niedrige Realzinsen bedeuten, dass der Investor nicht viel dafür bezahlt bekommt sein Bargeld anzulegen. Wenn man also keine Zinsen bekommt, warum nicht in Gold investieren? Nachfolgendes Diagramm zeigt, dass Gold in den letzten Jahren das Spiegelbild der 10-jährigen TIPS (inflationsbereinigt Anleihen) Rendite war. Jetzt, da die Realzinsen wieder zu steigen beginnen, zeigt Gold Schwäche. Der andere große Treiber des Goldpreises ist die Angst. Wenn die Menschen in Panik sind, sagt ihnen etwas in ihrem Gehirn, Gold zu kaufen. Deshalb wird Gold schon lange als eine quasi-Währung angesehen. Eine gute Möglichkeit dies zu demonstrieren, ist indem man den VIX-Index (misst die Angst des Marktes; auch bekannt als das Angstbarometer) mit einem Verhältnis von Gold zu Öl vergleicht. Das Gold/Öl-Verhältnis erfasst das Verhältnis zwischen einem „unproduktiven“ glänzenden Metall und einer nützlichen Ware, die in einer Zeit des wirtschaftlichen Aufschwungs profitieren sollte. Wenn die Menschen ängstlich sind, sind sie bereit mehr für das unproduktive Metall zu bezahlen und vernachlässigen Öl. Wenn die Menschen jedoch weniger Angst haben und positiver gestimmt sind, werden sie sich vermehrt fragen, warum in einem zinslosen Metall investiert sein, wenn sie Öl in der Welt verkaufen können? Der nachfolgende Chart zeigt den Zusammenhang: Der VIX (rot) ist fast perfekt ausgerichtet mit dem Gold/Öl-Verhältnis (blau). Folglich stehen der Anstieg der Realzinsen und der Zusammenbruch der Angst hinter dem Kursverfall in Gold. Jetzt stellt sich die Frage, ob der Rückgang der Angst berechtigt ist und wenn ja für wie lange? Sind alle Probleme der Eurozone gelöst? Welchen Einfluss kann die Wahl in Italien darauf nehmen? Außerdem ist derzeit zu bezweifeln, dass wir kurzfristig vor deutlich steigenden Zinsen stehen. Die Notenbanken machen Geldpolitik für niedrige Zinsen und die hochverschuldeten Staaten in der Welt haben kein Interesse an steigenden Zinsen. Anlageempfehlung: Gold nach diesem starken Rückgang bei ersten Anzeichen von Bodenbildung kaufen. Definition von Todeskreuz: In der technischen Analyse handelt es sich beim Todeskreuz vereinfacht ausgedrückt um den Schnittpunkt zweier gleitender Durchschnitte. Nehmen wir beispielsweise Gold und hier zum einen den 50-tägigen gleitenden Kursdurchschnitt und zum anderen den 200-tägigen gleitenden Kursdurchschnitt. Wenn nun der 50-tägige den 200-tägigen gleitenden Kursdurchschnitt von oben durchkreuzt, stellt der resultierende Schnittpunkt das sogenannte „Todeskreuz“ dar. Einige Händler deuten diesen Schnittpunkt als das Platzen einer Blase – in diesem Beispiel Gold – mit dem Ergebnis, dass mit einem erneuten Anziehen der Kurse vorerst nicht zu rechnen ist.